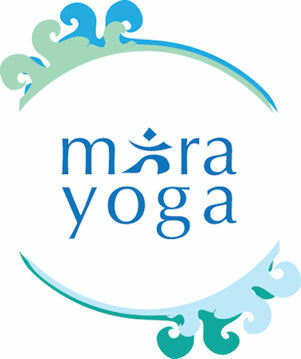 Mira Yoga: Among other things, mira means "ocean" in Sanskrit. 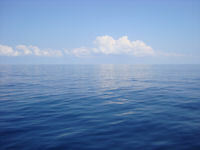 The ocean is a vast, mysterious and powerful element in nature, and plays an integral part in the balance of the Earth. Yoga plays just as integral a role in balancing our life as the ocean does for our earth. Thus, was the name "Mira Yoga," conceived. Mira Yoga is not a 'style' of yoga, as all yoga comes from essentially one and the same place (though referred to by many names). Mira is merely the concept for which our perspective about yoga comes from: Yoga is a powerful, vast and essential aspect of life and when approached with lightness, respect, discipline and joy, can have profound effects on our day to day life. The word "mira" is Sanskrit for "ocean," Latin for "wonder" and "astonishing." In the Slavic languages it means "peace." In Hebrew, it is a derivative or Miriam or the female equivalent of Meir, meaning "light." In Spanish, it is the imperative for "look!" Hailing from a classical Hatha Yoga lineage, classes consist of warm-up exercises (sun salutations), breathing exercises (pranayama), yoga postures (asanas), and relaxation (savasana). Through exercise, movement and play, your children gain balance, strength, flexibility, relaxation and improved concentration and memory power. Yoga can build self-confidence in children who may be shy or introverted, and can teach valuable tools about chanelling excess energy for children who are extroverted or have a lot of pent up energy or emotions. On occasion, courses are also available for children in English! This unique combination of yoga and learning English is a wonderful opportunity for your children to develop better flexibility, focus, and self confidence whilesimultaneously hearing and practicing a foreign language. Private Classes: Would you prefer to practice in the comfort of your own home or in the Studio? Johana also offers private sessions for children and adults and is happy to give you individualized attention to begin or further deepen your practice. 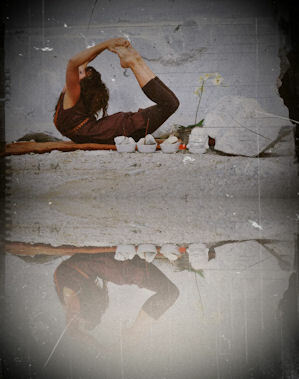 You are welcome to contact her by phone or email to set up your own personalized yoga course or class.